Local company Linfinity offers supply chains a solution to combat fraud - I am a thinker, strategist, marketer, leader, innovator, visionary, opportunist, networker and the go-person for your business. Supply chains besieged by counterfeit goods may soon find an answer in blockchain. Economically, around 2.5 per cent of global imports — about US$0.5 trillion (S$0.7 trillion) a year — are counterfeit, reports the Organisation for Economic Co-operation and Development. The human cost is higher. In 2008, an estimated 300,000 babies in China fell ill after consuming milk powder tainted with melamine. It led to the deaths of six of them from kidney disease. As global markets open up, supply chains have become more complex. Before reaching consumers, all types of food and products now go through more suppliers, manufacturing plants, ports-of-call, storage facilities and retailers, adding logistical complexity to their production. Despite technological advances and digitalisation worldwide, pockets of analogue interfaces still exist. Where they occur along a supply chain, companies can lose track of inventory, making them vulnerable to fraud. In the era of Industry 4.0, how can new technologies help snuff out risky inefficiencies? One Singapore-based company aims to build an ecosystem for anti-counterfeiting that is sustainable, trusted and traceable. Linfinity, positioned as the world’s first distributed supply chain platform that harnesses blockchain, IoT (Internet of Things) and Big Data technologies, seeks not only to improve efficiencies from end to end, but enable reliable collection of data. 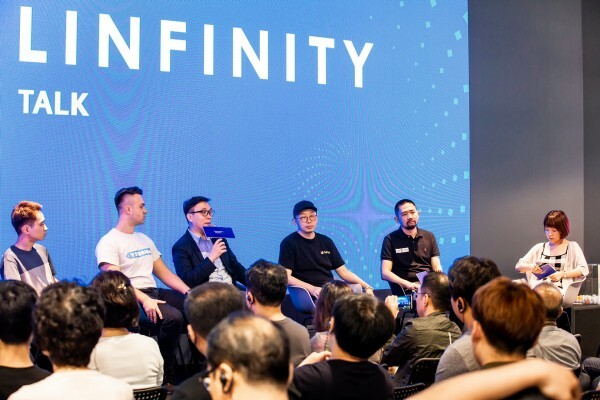 Mr Anndy Lian, chief executive officer of Linfinity Singapore, notes that rising demand for transparency in the entire production process, from procurement to logistics, has made the application of blockchain critical. With more accurate data, businesses can make better decisions to reduce waste. IMPROVE EFFICIENCY AND STAMP OUT FRAUD. At the core of Linfinity’s solution offering is the blockchain, a decentralised, distributed ledger that lives in the cloud and records contracts, transactions and events in an encrypted form. While the most oft-cited use of blockchain technology currently is Bitcoin, blockchain has the potential for much wider application across industries. Blockchain has been touted as a “transformational” or “foundational” technology — a game changer akin to how the Internet revolutionised information, the economy and society in the late 1990s. · Enhanced transparency: A product’s journey can be documented from origin to destination, increasing trust among players in the ecosystem. · Scalability: Any number of users can participate in the supply chain and transfer information to one another. · Better security: A ledger, such as the blockchain, would self-regulate the system, improving on previous internal audit inefficiencies. · Engaged stakeholders: Using an incentive model (e.g. tokens, cryptocurrency and a system of smart contracts that automates payments), it allows automation of payments and quick transactions, actively benefiting all parties involved. · Increased innovation: Once a blockchain system is in place, smart contracts can be used to increase efficiency, integrating with the rest of the system. As companies push ahead in a fast-changing environment, an agile, test-and-learn approach is key. Early this year, Linfinity commenced its Linfinity blockchain project, published a White Paper and started testing its service platform. 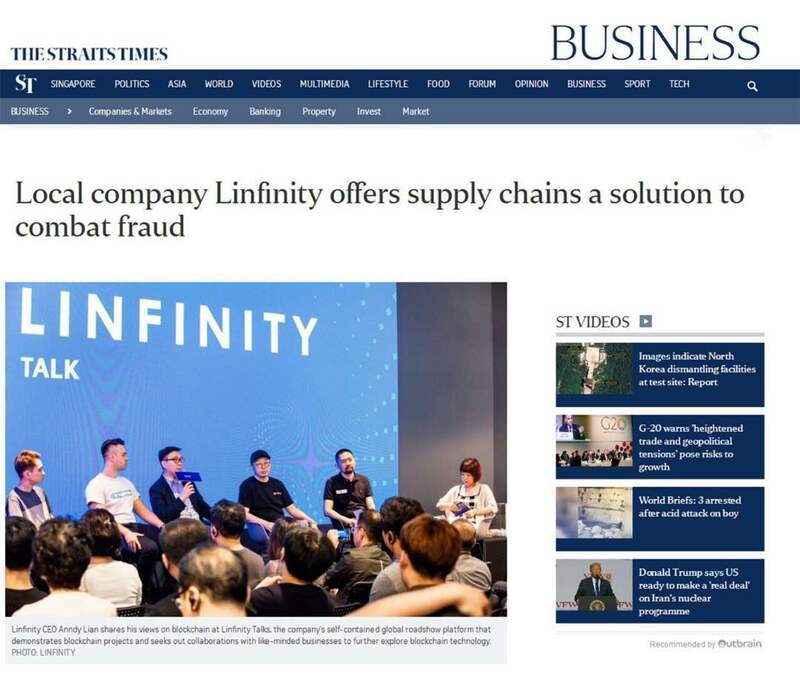 The firm also established Linfinity Talks, a global roadshow platform that demonstrates blockchain projects, and sought out strategic collaborations with various companies. It has signed Memorandums of Understanding with companies in Singapore, the United Kingdom and Taiwan, with more lined up. These partnerships span different industries from finance and legal to logistics and fast-moving consumer goods. They will see Linfinity’s implementation of blockchain technology improving efficiency and transparency of supply chains. This month, the company launched its own digital currency, Linfinity tokens (LFT) on Chinese-based exchange CoinEx. As hype about blockchain grows, so have the number of questions about its usage, limitations and potential applications. Even so, it is likely that the technology will take years — even decades — to mature, and its deepest implications may not be immediate. The adoption of new technologies takes time, and needs the buy-in of policy makers, industries, corporations and end users. Mr Lian notes that while blockchain remains a relatively new approach to supply chain management, companies need to anticipate government challenges and regulations ahead. Nonetheless, blockchain’s decentralised nature makes it difficult for governments to intervene. They cannot totally ban access to blockchain, as they did with Facebook in China. Mr Lian adds that even as Singapore’s government fine-tunes its registration processes and taxation, companies can rest assured that Singapore would embrace technological advancement, rather than preven t it. After all, a future with greater transparency, efficiency and authenticity is a future worth building.